Book of Seshet is back! 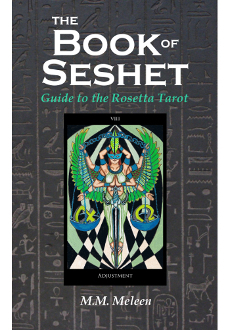 Long out of print, this is the 240 page guidebook to the Rosetta Tarot. It not only has info on each card but also an introuction to astrology and Qabalah as they apply to Golden Dawn based tarots. Book has a 6 page color insert!